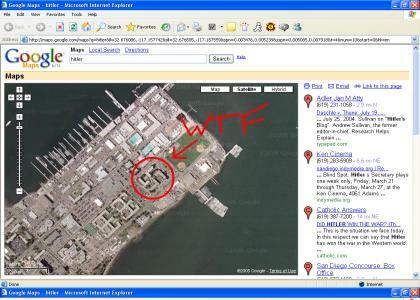 Building in the shape of a swastica, suspect: Sneaky Nazis. you know that like, when the build that place they would have to know what it looks like from that view...so they knew..
Exactlly, how the hell did this happen? I swear you freakin sneaky nazis!!! I SWEAR!! best part is that it is at a 45 degree angle when looked at in alignment with north and south like in this picture.